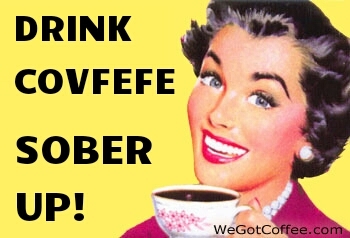 Drink Covfefe – Sober Up! The Covfefe meme the whole Internet is talking about. Say no to decaf covfefe.